Flying is a wonderful adventure! Flying with the family is an enjoyable adventure with Albastar. 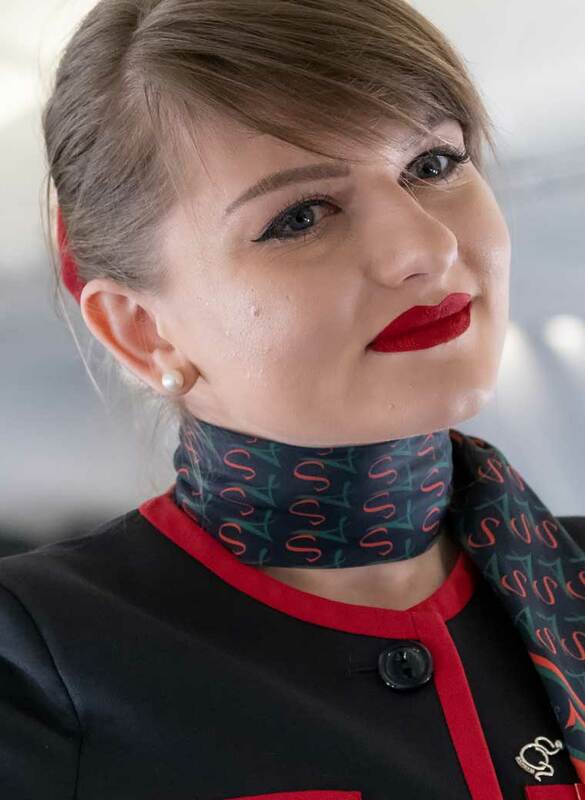 For us it is important to make everyone feel welcome on board, young and old alike will find courtesy and helpfulness waiting for them and they will feel “at home” flying with us. We want to fulfil the wishes and needs of our young guests, while ensuring high standards of safety and quality. If your child is flying for the first time, do not forget to ask the flight attendants for their first flight certificate, which will become a pleasant reminder of their first high-altitude trip on board our aircraft. Is your child or young adult travelling on their own? Don’t worry, you can rely on Albastar’s professional assistance for unaccompanied minors; we will take care of them at the airport, during the flight and after landing, as if they were part of our family. We also dedicate special attention to future mothers, by trying to make their journey as comfortable as possible. For us, you and your family are more than just passengers and our mission is to ensure you enjoy the best possible flight experience. Future mothers, children who are more than 2 weeks old and unaccompanied minors from 5 years of age upwards can travel on board our aircrafts in total tranquillity. To ensure our youngest passengers maximum comfort and safety, check all the details and requirements for the flight or ask your travel agent. 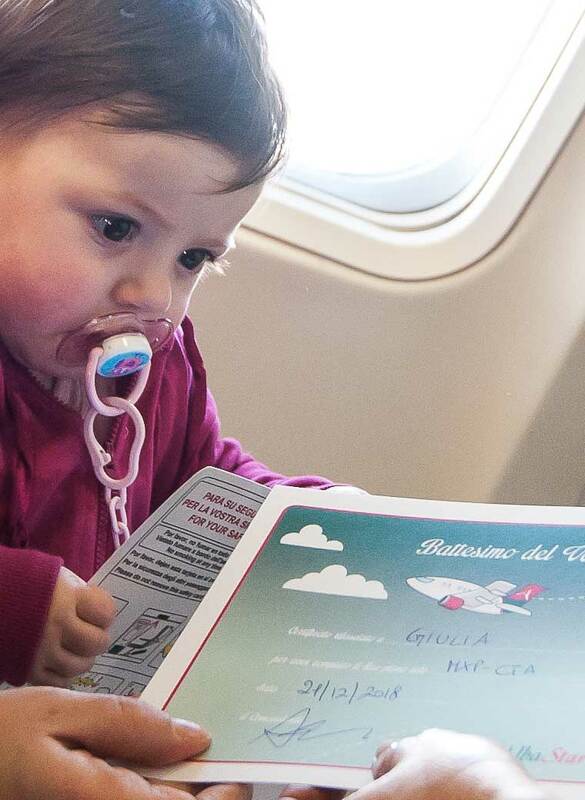 Your child’s first flight is something to remember! Celebrate this milestone in a unique way and enjoy the beginning of a long series of trips with us. Ask for your First Flight Certificate, it will be a pleasant reminder for all the family of your first flight at high altitude. *We remind you that you can book your certificate within 7 days prior to your departure.